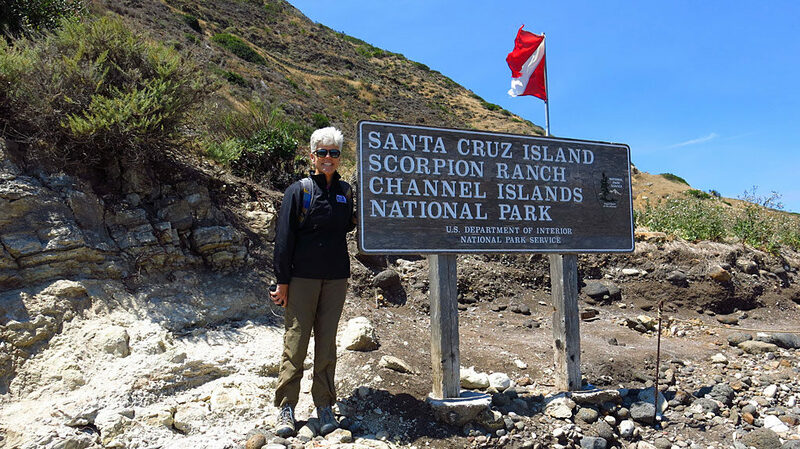 Last weekend, Dave and Irene and Carol and I went to Santa Cruz Island to volunteer with the Friends of the Island Fox to help remove non-native, invasive plants from the island, specifically, the oyster plant. In addition to the super-fun weed picking experience, we got to see and experience and learn many new things. 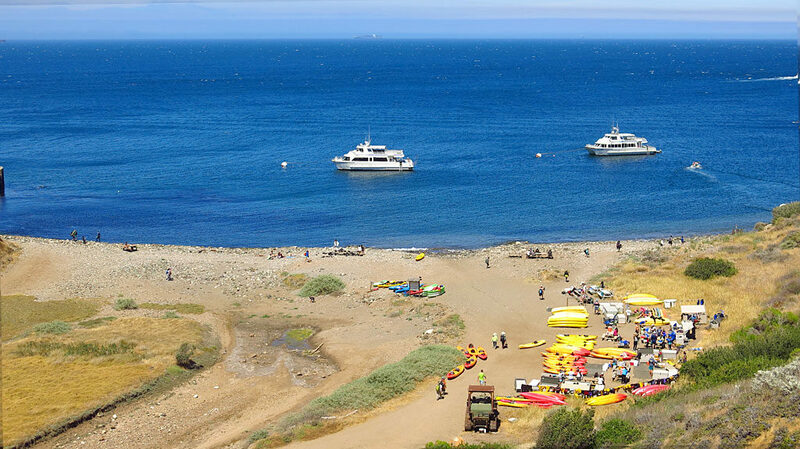 The day on the island exceeded our expectations, and as Huell Howser might say, it was amazing. Update August 11, 2016: Island Fox Removed from Endangered Status! Video: Meet the Tiny Foxes That Shouldn’t Be Alive – A decade ago the tiny island fox was on the brink of extinction. 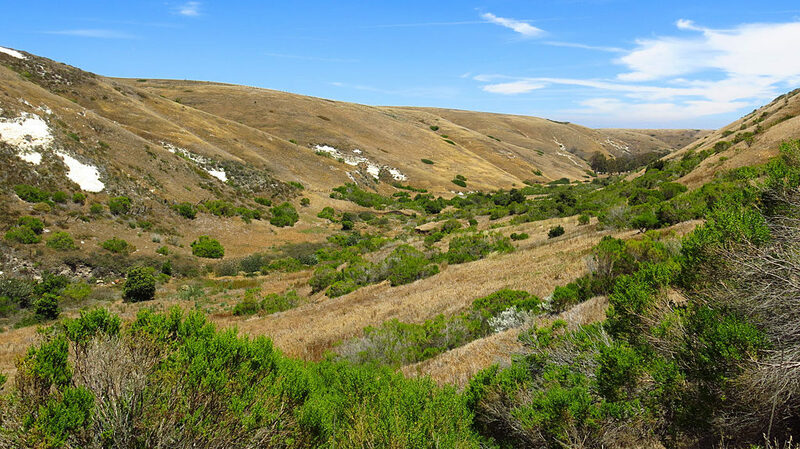 Now, thanks to a radical reordering of its California island ecosystem, the fox is coming off the Endangered Species List. 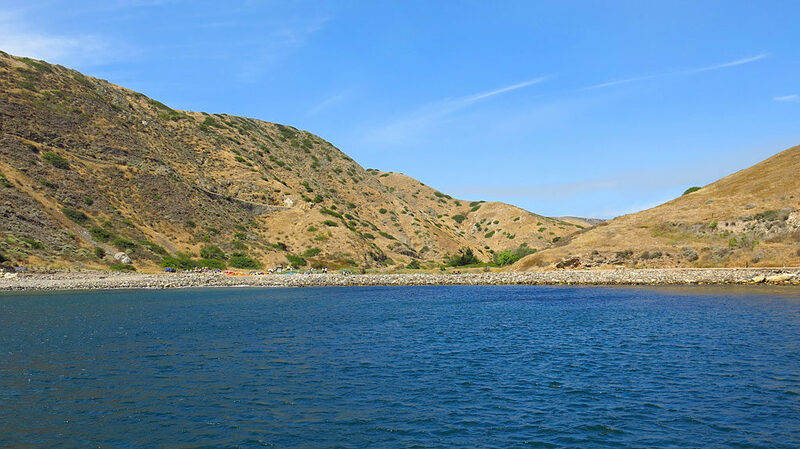 We landed at Scorpion Anchorage on the east end of Santa Cruz Island. 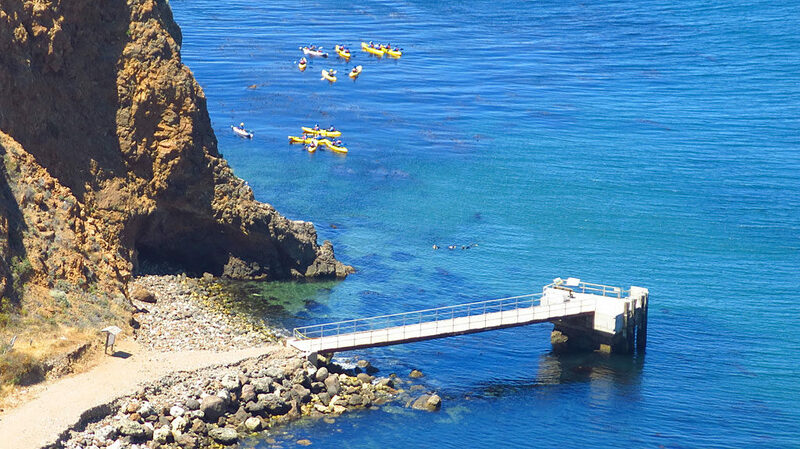 The beach was wide and calm with crystal-clear water — perfect for launching a kayak. 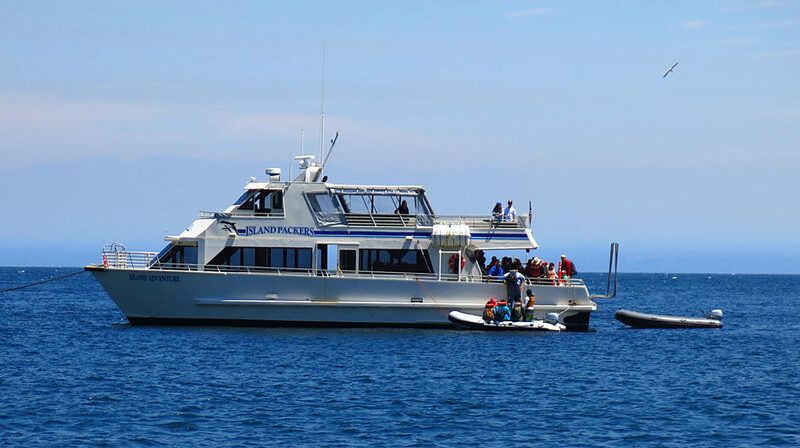 Island Packers provided our transportation to and from the Island. They were awesome, even stopping each way so we could snap photos of humpback and gray whales, and countless dolphins. 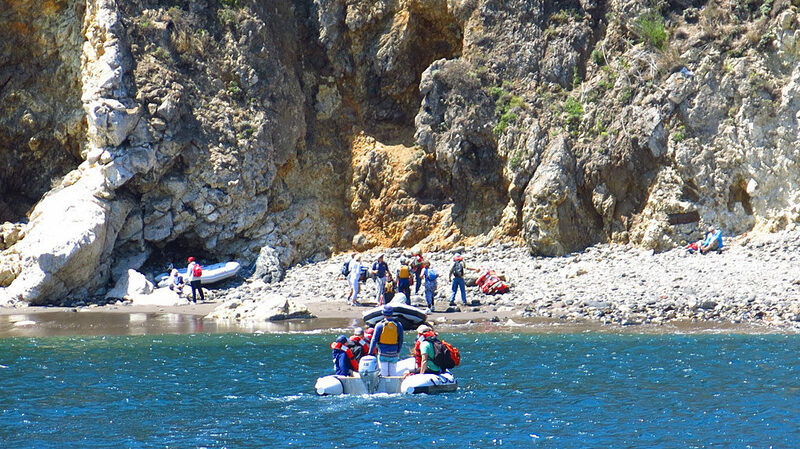 The dock at Scorpion Harbor was damaged several years ago by large waves, so everyone was taken ashore on inflatable boats — a somewhat cumbersome process. Carol poses for the obligatory photo-by-National-Park-sign photo. 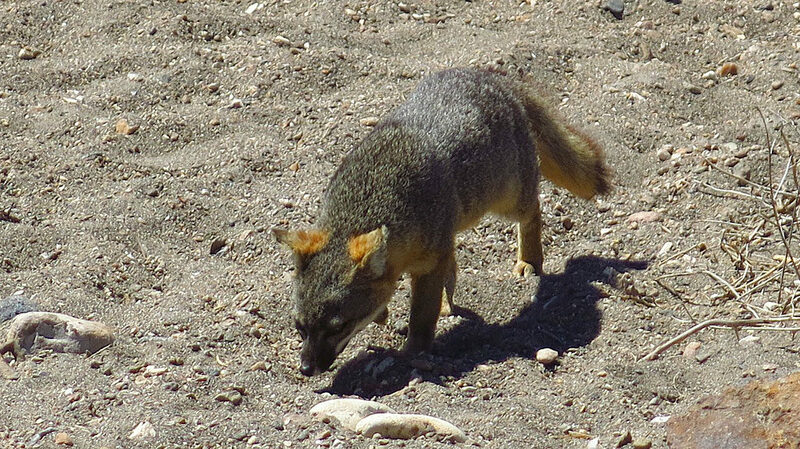 Walking up Scorpion Canyon, we encountered our first Island Fox resting under a tree, not far from the trail. The fox is about the size of a house cat, the smallest North American canid, found only on the California Channel Islands. It was not concerned by our presence. 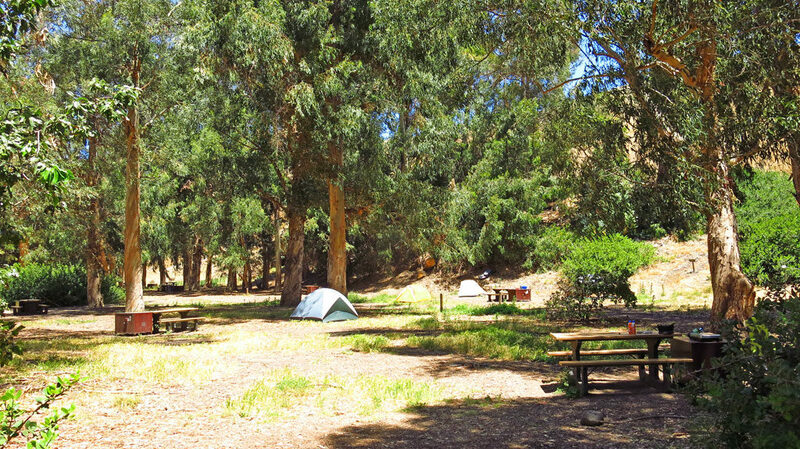 Santa Cruz has campgrounds providing water, a table and bear lockers — not to worry, there are no bears on the island. Charcoal and campfires are not allowed, and there is not trash service. You pack it in, you pack it out. 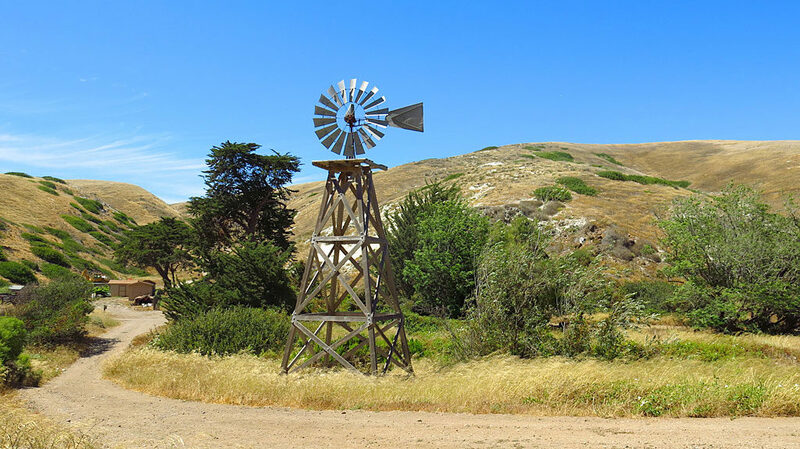 The windmill is part of the remaining infrastructure of the Scorpion Ranch, an old sheep ranch until 1984. Today, the ranch’s main building is a National Park Visitor Center. 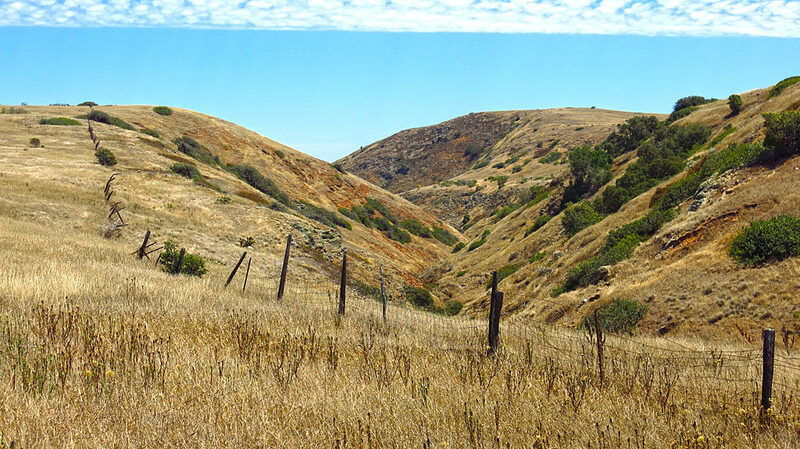 Near the top end of Scorpion Canyon, looking east. A photo sphere of the Friends of the Island Fox collecting the invasive oyster plant (Tragopogon porrifolius) along the Montañon Ridge Trail. 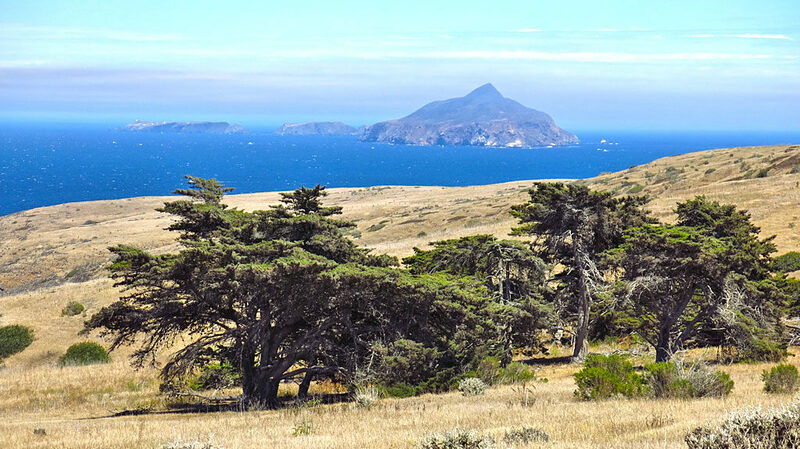 Looking east over non-native cypress trees to Anacapa Island — another island in the Channel Islands National Park. Legacy fence lines in various states of disrepair. 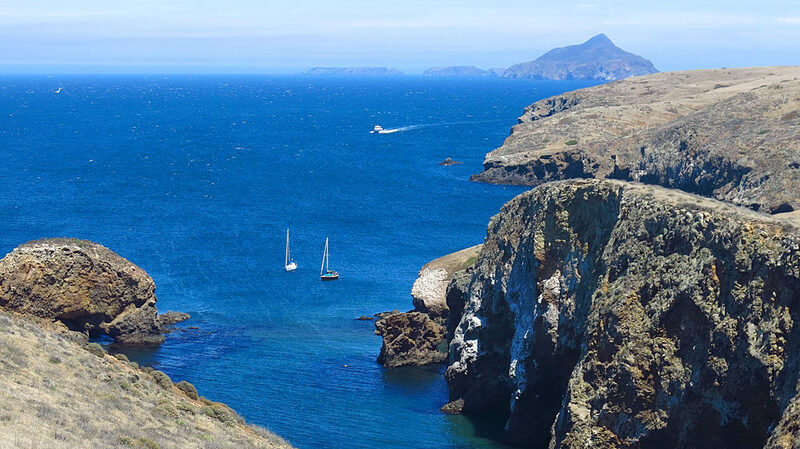 Little Scorpion Anchorage with Anacapa Island in the background. Kayakers take advantage of the island’s clear waters and the many available sea caves. The island is home to one of the largest sea caves in the world. Island Packers boats offshore at Scorpion Anchorage. 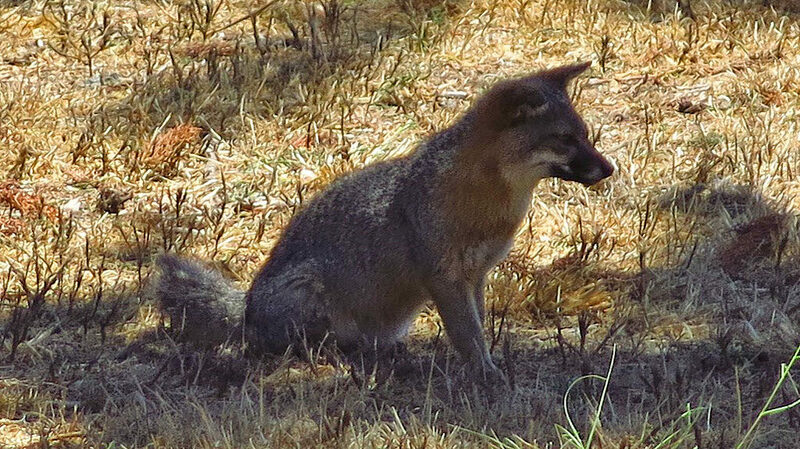 Our last sighting of an Island Fox on the beach, just before boarding the boat for the return trip to Ventura.